We are providing best solution as Agro Briquetting Press to convert your agriculture waste or forestry waste into high energetic briquettes. Demand of this machine is very high because it has high production capacity approx 15ookg/hr and consuming 91 HP power to make efficient bio fuel which is used in various industries like rubber industry, leather industry, ceramic mills, textile industry and so on. As well as household for heating and cooking purposes. Agro Briquette Project is act as “Best from Waste”. It gives us bio coal from wastage like Agro, Forestry and Industrial. The wastages from these sources are raw material of this project and finished product is called briquettes. The feeding of raw material in agro briquette project is providing us best from waste. It is known as green light renewable project all over the world. 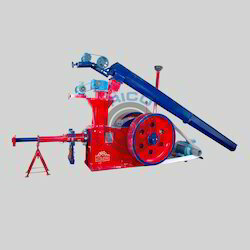 Agro Briquetting Machine is a machine that is capable to crush agriculture waste like groundnut shells, almond shells, sugarcane bagasse, jute waste, saw dust, wheat husk, tea husk, cumin waste, cotton flower etc… under high mechanical pressure and turn into useful bio fuel which is best substitute to fossil fuels such as lignite, petrol, diesel, gas and so on. This also called agriculture waste management briquetting machine. The project is called “agro briquette plant project “and its simply process to converting Agro waste, Forestry waste and Industrial waste into biomass briquettes/ bio coal. Briquette plant project is the best renewable energy for the environment and economy. It’s completely Eco friendly green energy project of India. 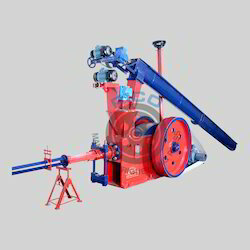 Agro waste briquetting press is designed and manufactured to process agro waste and forestry waste and convert them into bio coal which is cost effective and none polluting than fossil fuels. This is the best solution to keep our environment clean and green from pollution. This machines are Eco friendly green machines which produces biomass energy. Main concept of this agro waste briquetting machine is to produce white coal from agro and forest wastages which otherwise is either destroyed or burnt inefficiently from causing air pollution. We cannot destroy these wastages totally but we can use it as renewable source of energy by converting biomass waste into high density fuel briquette with help of this machine.